We've all been told that to keep hydrated, the best drink is always water, and we should consume at least 64 ounces per day. Conversely, to keep from dehydrating, the standard advice is to avoid caffeinated beverages because they're diuretics that cause you to lose water. 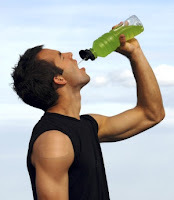 Unfortunately, most of the things we think we thought we knew about healthful hydration no longer seem to be certain. For example, the advice to drink at least eight 8-ounce glasses of water per day turned out to have very little evidence supporting it. 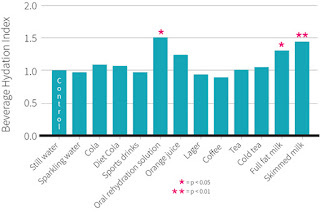 The idea that coffee and other caffeinated beverages dehydrate you also seems to be incorrect, given the conclusions of this meta-analysis that any concerns "regarding unwanted fluid loss associated with caffeine consumption are unwarranted." 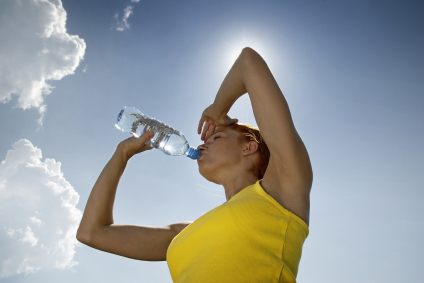 So what should you really be drinking to stay hydrated? Given this confusion, a recent study by researchers at the School of Sport, Exercise and Health Sciences at Loughborough University in the UK is very important. 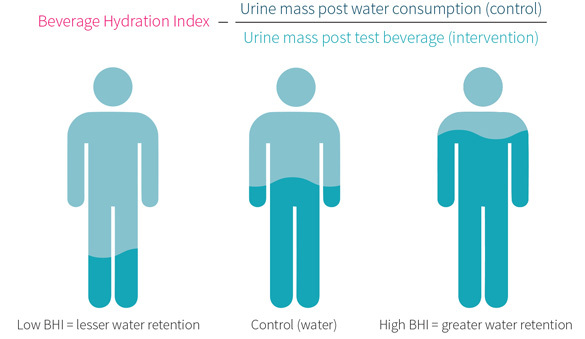 They did a straightforward study by creating a "hydration index." In other words, they measured many drinks to show how well your body is hydrated by each of them. Their test drinks included still and sparkling water, soda (Coke and Diet Coke), sports drink (Powerade), Orange Juice, lager beer, black coffee, black tea (hot and cold), milk (skim and normal), and an oral rehydration drink designed for children with prolonged diarrhea. It's important to note that the study was partly funded by the European Hydration Institute, which is funded by Coca-Cola (hence the study's choice of test sodas and sports drink). But if the soda giant was looking to juice a study to get some kind of marketing boost, the results didn't fall their way. 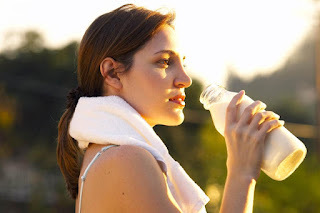 In fact, the researchers found that the best drinks for hydration were actually milk (both versions) and the oral rehydration drink. Their sports drink, which is manufactured and marketed specifically for rehydration, was actually worse than water for this purpose. In this case, the source of funding was inversely associated with a positive outcome. 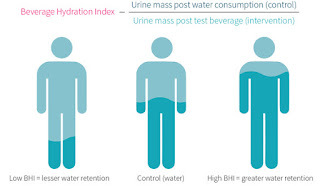 Other interesting findings were that the drinks normally thought to be diuretics (in other words, drinks that would make you urinate more, losing more water) did not have that effect. Alcohol and caffeine have typically been viewed as diuretics, but the lager beer, despite its alcohol, was not a net diuretic. Neither was caffeinated coffee or tea. Alcohol and caffeine have been found to be diuretics in prior studies. But in this one, the lack of diuresis may come down to the simple, common-sense rule that is applied to almost everything: A little may be good, but a lot is not. The authors point out that the acute doses of caffeine are unlikely to have a diuretic effect until they exceed ~300 mg. In their study, the amount of caffeine given to the subjects ranged between 96 and 212 mg.
As for alcohol, this study has subjects drink 2 pints of 4 percent alcohol lager, which did not increase urine output compared to the other drinks. In other words, the water in the beer was offset by any diuretic effect of the alcohol. This was also true for athletes who had a beer after training. But as in the case of caffeinated beverages, as the alcohol concentration increased above 4 percent, the diuretic effect increased as well. Surprisingly, milk was more likely to sustain hydration than any other drink—and this wasn't the first study to show this. The authors point out that this may be because of the higher energy content in the drink. Any food or drink containing fat, fiber, or protein will slow the rate that the stomach empties into the small intestine, effectively slowing the rate of absorption. The authors' suggestion that milk proteins may contribute to the reduced diuretic effect is also supported by other research concluding that "milk protein has been shown to be more effective for post-exercise rehydration than an isoenergetic amount of carbohydrate." Study more kinds of drinks so consumers can get a better picture of those drinks that help hydration and those that don't. Study different concentrations of alcoholic and caffeinated drinks to show the inflection point where they turn from hydrating to dehydrating. In the meantime, while we're waiting on new studies, at least we know this: Milk seems to be the most hydrating drink of the current hydration index, and beer and coffee probably aren't dehydrating until you overconsume them. 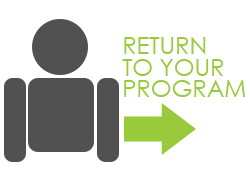 For more information: Click here to visit Will Clower's website. Why Am I NOT Hungry After Exercise? That's because when you exercise, your body shunts blood to the areas it thinks you need it: toward the muscles, lungs, and brain, and away from the viscera (your gut). When you stop exercising, it takes a little while before your body can make the cardiovascular switch back. This is one reason why you just don't feel hungry after your workout. And it doesn't matter about your calorie debt. 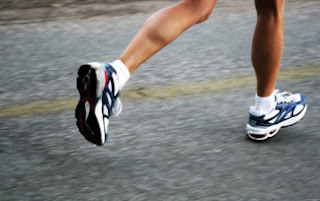 For example, if you haven't eaten and go for a run or something, you won't feel hungry during your run. You may feel light headed if you get low blood sugar and your liver can't squeeze out enough back into your blood stream. So think of exercise as an appetite suppressant! Also, don't think that because you just went for a run that you need to immediately "fill the tank" again, because your hunger doesn't work that way. 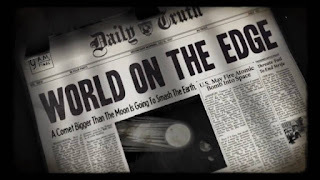 We live in a wind tunnel of bad news. Day after day it slowly erodes your soul over time and numbs you to the daily onrush of awful. And I know it's not fashionable to talk about positive things, so with apologies in advance, and despite our daily barrage of political and social crazy, I'd like to show why there actually is good news (for our culture of health anyway) that definitely needs to be shared. Despite our 50+ year slide into declining health, inclining obesity rates, childhood diabetes, and the confusing array of health advice that changes by the year, there is reason to hope. It seems that our culture’s unhealthy trajectory has paused. 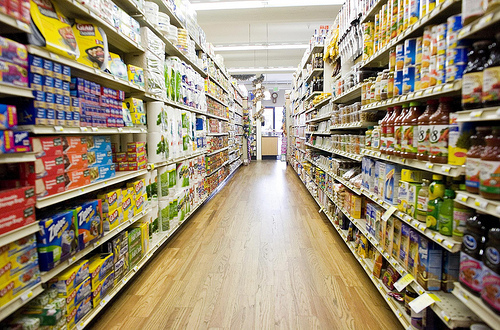 Foods appear on the grocery store shelves because consumers purchase them. The tiers of Day-Glo breakfast cereals with the shelf life of steel belted radials wouldn’t be there if we didn’t purchase them. In other words, what is supplied reflects our demand. But recently, many food companies have removed (or pledged to remove) artificial ingredients from even iconic food brands. Kraft pulled Yellow #6 from its Macaroni and Cheese. Chipotle is taking the preservatives from its tortillas. Pizza Hut and Taco Bell are removing artificial ingredients from its foods along with High Fructose Corn syrup and palm oil. And Campbell’s soups will stop using artificial ingredients and syrups in their products by next year. It’s no surprise that food companies make these changes because they’re only interested in what increases profits which, in turn, is driven by what we purchase. But that is in fact the good news. We are purchasing healthier items, and therefore seeing those choices reflected in the product offerings of our producers. This healthy change in our food preferences is not only reflected in the grocery store, but also at the Farmers Market. The number of Farmers Markets as well as the purchasing done there are both increasing as we start to choose healthier items (USDA graphic reference). By contrast, soda consumption has declined for 11 straight years. Over the same time that we’ve been eating better, we’ve also become more active. Overall, participation in sports, fitness, and related physical activities did not decrease last year. In fact, it actually increased slightly. Both casual and active participation have increased, showing that although Americans may not be as active as in the past, they continue to keep moving at some level of fitness. Conversely, the number of Americans who are inactive dropped in 2015, from 82.7 million to 81.6 million over the prior year. While these rates have fluctuated over the last five years, the 2014 to 2015 decrease (0.6%) is the largest drop since 2010. This showed that 1.2 million people who were inactive in 2014, participated in a some sort of fitness activity in 2015. Our workaholic culture is a driver of stress and the stress-related health problems that follow. We are urged to burn the candle at both ends just to make those ends meet. However, this seems to be changing as well. The Labor Department time use survey showed that Americans are starting to work less and sleep more. Even though the unemployment rate dropped in 2015 from 5.7 to 5.0 (reaching what economists call “full employment”), leisure time on activities like watching television, socializing and exercise is still five minutes more than a decade earlier. Those with jobs got more shut eye, sleeping 8 hours and 52 minutes on average, which is up seven minutes from the year before. Overall, Americans now sleep an average of 13 more minutes than they did 10 years ago. Taking care of ourselves in this way is just good news. The fact that we don’t make our own food in our own home has been much talked about, and for good reason. This article reports on this trend showing that Americans cooked at home less and less from 1984 until 2008. However, it goes on to show that after this time, the level planes out. In fact, the number of people eating home cooked meals has remained at or above where it was in 2008. When more people cook from home, they eat food that is on average healthier. And contrary to popular belief, it doesn’t matter whether that food is from a fast food or sit-down restaurant. Either way, this recent study found that you will consume almost 200 calories more, more fat, saturated fat, cholesterol and especially sodium. When more people make more food more often from their own homes, this is very good news for our health. In other good health news, smoking has plummeted, falling each year from 42.4 percent in 1965 to 16.8 percent in 2014. 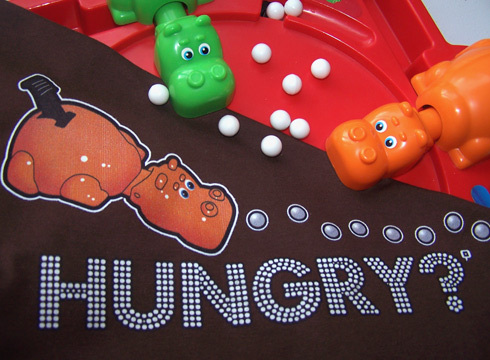 Obesity Rates have finally seemed to stabilize for adults and children. And the percentage of Americans with diabetes actually decreased in the most recent CDC report. A number of markers indicate that the culture of health is improving. Is it perfect? No. Do we have more work to do? Of course we do. But the trend is definitely moving in the right direction. We do need to continue the conversation that encourages eating real food, eating that in control, getting daily activity, and controlling the daily stressors of our lives. If we can continue doing these things, we can expect this pause in our health freefall to then reverse. And that would be good news indeed. You just have to do it. It's deceptively easy, and works in the long term. 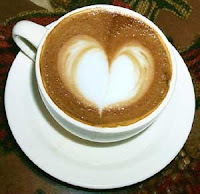 From a health perspective, coffee has turned a corner and is increasingly recognized as a healthful drink. In addition to being an antioxidant, it’s also linked to a decreased risk for Parkinson’s disease, protecting against type 2 diabetes, improving heart health, and lowering rates of depression in women. Despite these exceptional health outcomes, there is nothing in this world so wonderful that we can’t come along and totally screw it up. And coffee makes the point. There are three main ways that the benefits of this most deliciously healthy beverage can be undermined. The most potent of coffee’s polyphenols is called chlorogenic acid, which is an antioxidant and is also strongly anti-inflammatory. In other words, these polyphenols in coffee can help douse the inflammation in your body that can contribute to everything from cancer, heart disease, diabetes, arthritis, depression and even Alzheimer’s. Its antioxidant action can also help by reducing disease-causing free radicals in the body. For these effects to take place, obviously your body must absorb those polyphenols first. However, adding dairy to your morning java decreases your body’s ability to absorb chlorogenic acid. This is likely due to the fact that milk proteins like casein really like to bind to polyphenols. Once bound, your body is not able to absorb them, and then they can’t do you any good any more. So if you want to downgrade your morning cup of health prevention from Really Good to just So So, you can definitely do that. Just add milk. I spoke to a woman who told me, with a totally straight face, that she put 6 packets of sugar in her coffee every morning. The calorie content of normal coffee is about 4 calories, meaning that this sugar just adds a ton calories. And it’s not just her, as adding gratuitous amounts of sugar to coffee is now quite common. A medium sized cup of the popular caramel macchiato (with its vanilla syrup and caramel) weighs in at 280 calories. Like you need roughly 20% of your entire calorie allotment for the entire day in one morning cup! Worse though, the consumption of sugar can increase cravings for sweets in the short term (through the over-production of insulin which creates hypoglycemia, leaving you tired and hungry in about an hour and a half). In the long term, sweetened foods also habituate sensory receptors to that level of sugar, so you crave more of it more often. By contrast, the consumption of plain coffee may help lower the amount of food consumed at meals. So if you want to turn your coffee from something that helps you control calories into something that adds calories, and then creates the short and long term cravings for even more calories, you can definitely do that. Just add sugar. An element of coffee that raises your bad cholesterol (and the LDL which can contribute to artery disease and heart attacks) is present in some coffees but not others. Diterpenes such as cafestol and kahweol are both present in the oil contained within the coffee bean, and these can increase your total cholesterol and LDL levels. The bad news is that the way the brew is brewed turns out to increase the level of diterpenes, and the highest levels are unfortunately found in the better tasting brewing methods. French Press coffee, for example, has 7.9 mg per cup; Turkish coffee contains 7.8 mg per cup; and espresso produces a level of diterpenes at 3.3 mg per cup. By contrast, the lowest levels are found in more pedestrian brewing methods like instant (0.4 mg per cup), filtered coffee (0.2 mg per cup), and percolated (0.2 mg per cup). The good news is that to coffee-up your cholesterol to any extent, you would need 5 cups of that French Press or Turkish mud coffee every day. And I know that it’s possible, now that there are colossal swimming pool sizes available, but fortunately most people going for quality are not also going for quantity. So if you want to increase your coffee-induced bad cholesterol levels, just drink it by the bucket and then add more! Why English is "The Language of Obesity"
Italian may be the language of romance, but English is the language of obesity. If you line up all the countries around the world based on their obesity rates, you'll see that English is the dominant language of six of the top nine most overweight countries. How do we explain this odd accumulation of obesity rates clustered around the calorie-free factor of language? Hypothetically, it could be that the lexicon itself drives the problem. Maybe we just have more words for it, like Eskimos have 50 words for snow. Maybe we have so many terms and phrases for “swing through the drive-thru," “supersize that," and “pig out” that people are encouraged to do those things, like some kind of subliminal suggestion. But of course, English is almost certainly reflecting the problem rather than driving it. American idioms around food are not the same as those in Ireland or New Zealand. We can definitely rule this explanation out. A second interpretation is that countries like the United States, that are more business-friendly, are less likely to regulate additive sugars and artificial ingredients in food products. Choking grocery shelves with these unhealthy products might contribute to higher obesity rates, particularly among our children. However, Ireland and England are both on the list, and these countries are in vastly more socialized political and economic systems. Scratch that explanation off the list. A third thought is that there's an educational gradient to obesity: more education is associated with less obesity. Although there's some support for this idea within the U.S. anyway, it’s hard to say that this entire list of English-speaking countries is all less committed to education than the other thinner countries. Socioeconomics also falls short. There is some idea that those with less money have a harder time finding good food. However, the U.S. has one of the highest standards of living in the world. So What Makes English the Language of Obesity? It may all come down to the fact that the most obese country of all English-speaking countries—the United States—also has the biggest voice in the world. It’s like having someone with an oversize influence, who gets seen more and thus emulated more. The same could be said across those countries that speak English, as the American image, mystique, and visibility can influence the cultural norms. One culture influencing another would be fine if it were only that the people in other countries were just wearing bluejeans, incorporating blues music, utilizing social media technology, and so. But we have other cultural behaviors that contribute to the highest obesity rates on Earth. When those activities become incorporated right along with T-shirts, Elvis, and Facebook, language becomes the vector of that transmission. So English does not cause the effect you see, but it acts like a facilitator. It's the window through which the fume of our unhealthy habits escape to the world. It’s the convenient access point for all who speak it. And the outsize influence of American allure is what moves dietary norms in our direction rather than theirs. In other words: the more other countries look to us, the more they look like us. If you live in one of these other countries, remember the cultural habits you had when you were thinner and healthier: fewer processed food products, drive-thrus, and habits like eating on the run. Reincorporate more traditional habits before adopting the eating norms of a country in which two-thirds of the people are overweight, obese, and morbidly obese. Fasting. Is it good for you or not? We're currently in the season of Lent, a practice in the Christian tradition that includes periods of abstinence and the denial of many foods and beverages. Fasting isn't limited to the Christian tradition. Other examples include Ramadan (a month of fasting), and the Greek Orthodox tradition in which the faithful sometimes give up not only meat but also dairy products, fish, wine, and the use of oil in cooking. And the Daniel Fast is another religious-based fast that includes a 10- or 21-day avoidance of foods declared unclean in the Book of Daniel. Research suggests that fasting is healthy when part of a spiritual, emotional, or physical cleansing — not a hard-core diet plan. Of course, fasting isn't just associated with religion these days. 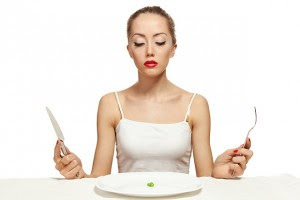 Many popular diets now include a component of intermittent fasting. Coldplay's Chris Martin, for example, recently revealed that he follows the "6:1 diet," in which he doesn't eat at all one day a week. But what does the science actually say about the benefits of fasting? Let's take a look at when it can promote health — and when it only hurts. The notion that the absence of eating might be healthy may seem counterintuitive at first, given that food contains nutrients, and you need them to survive. On the other hand, with 69 percent of Americans overweight or obese, it certainly seems that many of us could stand to rein it in a bit. Still, the question of whether fasting is actually good for you isn't settled yet, and there are supporting studies on both sides. And, interestingly, the answer to whether fasting is healthy or not depends on more than just the number of calories you consume or when you eat. It turns out that the context in which you fast also has a big impact on the outcome. It looks like Benjamin Franklin was correct when he stated: “To lengthen thy life, lessen thy meals.” Research suggests that cutting calories overall can mimic the effect of healthy antioxidants to decrease age-related deteriorationin your body and brain. In other words, one of the strongest indicators of longevity is not just what you eat but how much of it you eat. Those who eat smaller tend to live longer. However, if you take this to an extreme, go cold turkey, and severely clamp down on calories, your body can interpret the situation as a stressor. In one study, experimental animals put on a two-week fast showed spikes in their stress hormones along with decreases in their cardiac muscle volume and output. That form of caloric restriction was terribly unhealthy. Likewise in humans, fasting for a full two days led to symptoms of insulin resistance and, as you might predict from this result, induced diabetes in some cases. Along with increased stress hormones and insulin resistance, your systems can go into what is commonly called “starvation mode," in which your metabolism slows down (you’re burning fewer calories). Even worse, your body can hold on to the fat it does have, essentially frustrating the very point of the fast in the first place. Intermittent fasting refers to a diet that involves periods of fasting and nonfasting, as opposed to overall calorie restriction. Research suggests that intermittent fasting can be healthy for your body and weight. In a study of religious fasts, such as Ramadan, Lent and the Daniel Fast, researchers found that those who engaged in voluntary, controlled restriction in this context didn't tend to suffer the metabolic ill effects. A 21-day Daniel Fast (no animal products or preservatives) was found to improve health parameters and lower the risk for heart disease. Greek Orthodox fasting was found to improve the LDL/HDL ratio. Fasting during Ramadan was found to benefit immune systems and lead to less inflammation and better cholesterol. Of course, more research needs to be done to determine just what it is about particular fasts that make them healthy or unhealthy. But one critical element seems to be how your body interprets the context. It’s not about the calorie count alone or the religious element. In the cases above, healthy fasting seemed to occur within the mental context of a spiritual, emotional, or physical cleansing. It’s taken by your mind — and so your body — as a positive means to a healthier end. By contrast, unhealthy fasting seems to be focused on deprivation alone — whether externally imposed by some arbitrary program or internally imposed as through a deprivation diet. Fasting isn't good or bad for you on its own. It can depend on how you frame it. If you use fasting as a hard-core diet technique to lose weight quickly and punish yourself for your past dietary "sins," your body will work against your efforts. On the other hand, if you use fasting as a part of a meditative, purposeful cleansing of the body, mind, and spirit, it will be taken that way. That’s because diet is more than just what you put in your mouth — it’s also the context of that consumption. 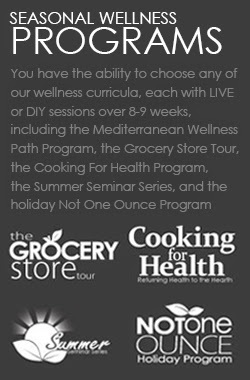 ©2014 Mediterranean Wellness. All rights reserved... Powered by Blogger.